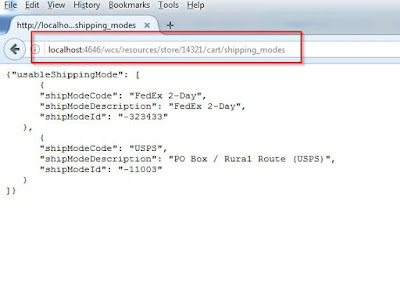 As part of integrating the WebSphere Commerce REST services in Angular2 application, created bunch of WCS MOCK REST Services for unit testing using SOAP UI. It helps to test multiple scenarios (different data and fail scenarios ...etc). 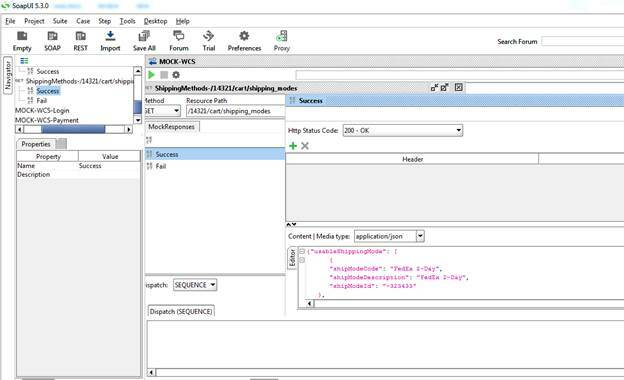 You can use SOAPUI or other tools to mock the REST services during the development. 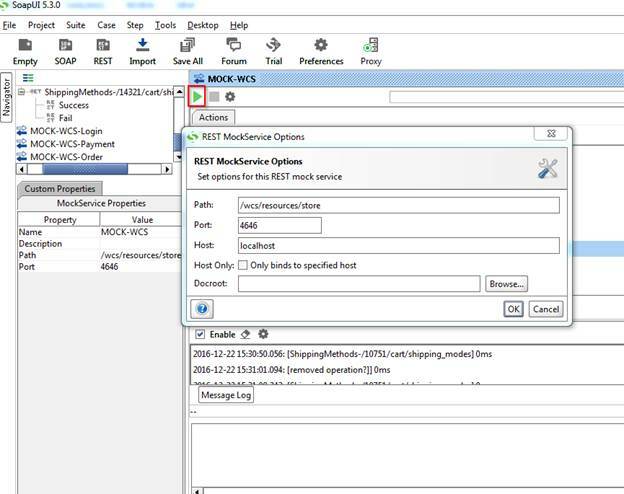 While creating the MOCK Service, I have given following port and host address. Problem : You will see the problem similar to below when you try to access these MOCK services from the Angular2 App because of cross domain (same origin) policy issues, We can mitigate this by adding Cross-Origin-Resource-Sharing (CORS) headers in server level , if you backend (api server) supports. 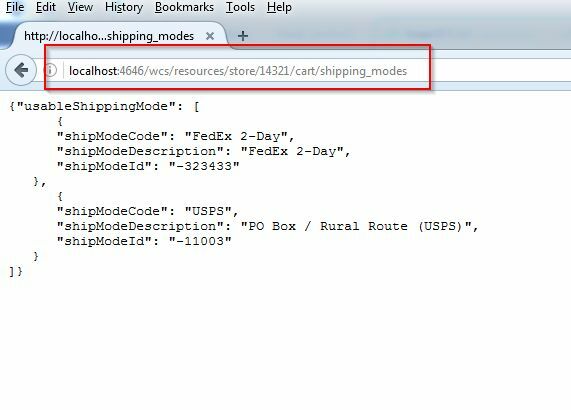 Cross-Origin Request Blocked: The Same Origin Policy disallows reading the remote resource at http://localhost:4646/wcs/resources/store/14321/cart/shipping_modes. (Reason: CORS header ‘Access-Control-Allow-Origin’ missing). 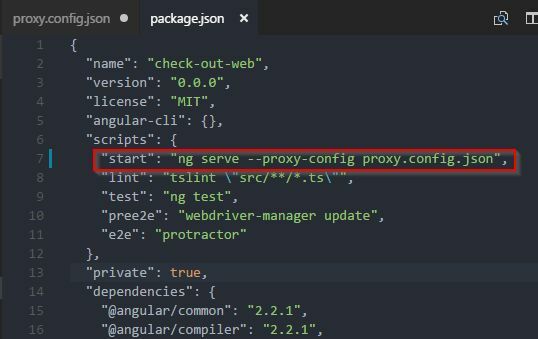 Solution: As I am not using the any backend API server running in my local for adding CORS headers, thought to use the angular2 proxy configuration to bypass this errors. 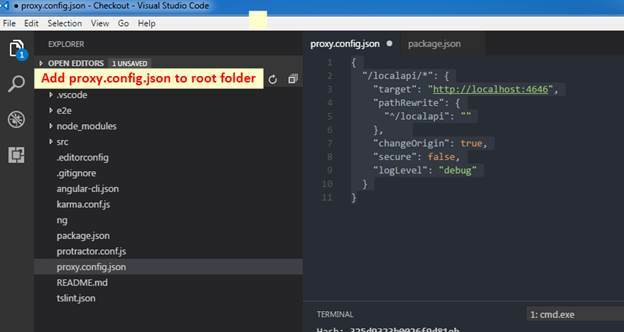 Add “—proxy-config proxy.config.json” in package.json as shown below. 5. Now when you access the application then browser makes call on 4200 port and get response from SOAP UI mock service that is running on 4646.